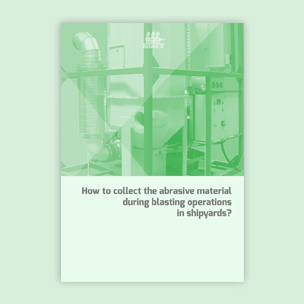 Free Whitepaper: How to collect the abrasive material during blasting operations in shipyards? The cleaning process during blasting operations is timely consuming especially when working in closed tanks. All the grit and dust have to be removed before proceeding with coating operations. Otherwise, the quality of the anticorrosive protection will be affected. How do the industrial vacuum systems work for increasing the overall efficiency of the blasting operations? What are the advantages of a vacuum pump specially designed for blasting in shipyards?